Chioggia’s wholesale Fish Market is one of the most important in the country and is located in the middle of a productive infrastructure which ranges from the fishing harbor, where the majority of Italian fishing fleets moor, to a group of companies which deal with product import, handling, stocking and processing. 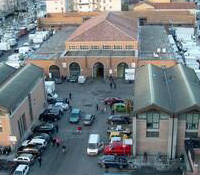 The Wholesale Fish Market is the heart of Chioggia’s fishing division and its activities following the city’s changing needs. 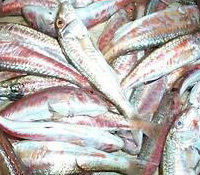 The current Fishing Market was inaugurated in 1960; it is still a technically valid construction, built on the Isola Cantieri between the two canal ports of Lusenzo and San Domenico and connected to the translagoon bridge which connects Chioggia to Sottomarina thanks to the melioration of a short stretch of the canal. 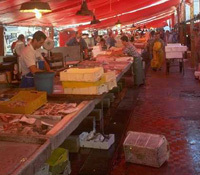 It covers approximately 11.000 square meters, 5.000 of which are covered by a large central pavilion, two large open air interchanges where the fishing boats moor directly from the canal’s ports, three new two-floor apartment blocks, placed at the Market’s entrance, house the Management offices, the Market’s Counter, refreshment bar, the offices of the Veterinarians and the Security Service, the meeting room, the porter’s caravan, the hygiene services. 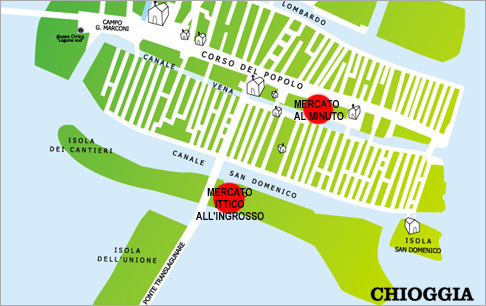 The fact that Chioggia’s Fish Market contemporaneously markets both local as well as imported products makes it particularly interesting to shopkeepers, even to those coming from distant areas. Today all the species and a variety of fresh, conserved, frozen, deep-frozen, processed, smoked, dried and packaged products are marketed within the Market, coming from all the Countries in the World. 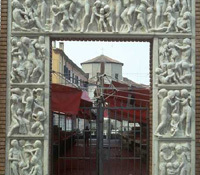 In Chioggia, the first market is an ancient institution, since fishing has always been one of the city’s predominant activities. The multicolored market is found between the Piazza and the Vena canal, behind Palazzo Granaio, and it houses about thirty fishmonger stalls, known as mògnoli, which sell all types of fish, because Chioggia is also a meeting place for fishermen from other cities. Fresh-caught fish is unloaded from the fishing boats to the wholesale market at four in the morning, its price is immediately negotiated, after which it is distributed throughout the city or destined to other Italian or European markets. The local produce, which is greatly appreciated because of its organoleptic peculiarities attributable to shallow waters, concerns various specialties, both sought-after (sole, sea bass, black sea bass, scallops), as well as humble (anchovies and sardines). There is always a high demand for affordable seafood (cuttlefish, squid, mantis shrimp, lobster, crab, octopus) and mussels (mussels, striped Venus clam, grooved carpet shell). Because of the liveliness which characterizes it and the environmental richness which animates it, Chioggia’s fish market is a must-see for all tourists.